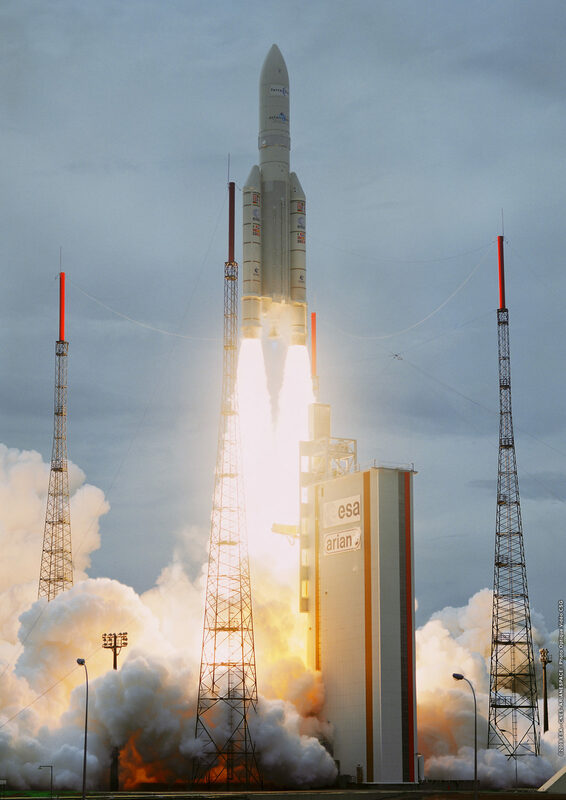 [Via Satellite 12-16-13] Astrium and Arianespace have signed a contract worth more than $2.75 billion for the supply of 18 additional Ariane 5 ECA launchers. The contract follows on from the framework agreement signed with Arianespace on Sept. 17, 2013, which enabled Astrium and its industrial partners to begin work on manufacturing the additional launchers. These latest Ariane 5 launchers, which follow an order for 35 launchers in 2009 (PB batch), will be launched from 2017 onwards. The cost-performance ratio of these new Ariane 5 ECAs will significantly improve due to ongoing technical and process improvements across the entire industrial chain. The additional 18 launchers ensure an added three-year workload for Astrium, as well as the delivery of Ariane 5 rockets until the end of 2019. The order increases the number of Ariane 5 launchers in production or awaiting manufacture for Arianespace to 38, and will guarantee the continued provision of launch services for the European operator’s customers at the Guiana Space Centre through to the end of the decade. “Coming at the end of a record year of launch orders, this contract guarantees the longevity of the Ariane launch system, while also improving its competitiveness,” said Stéphane Israël, CEO, Arianespace. Astrium is the sole prime contractor of Ariane 5 and provides Arianespace with complete launchers that are tested and integrated at the Guiana Space Centre.